Designed by Frank Pryor and launched in 1977, the Leisure 27 provided over 6 foot headroom throughout and with a beam of 9 foot 2 ins, offered outstanding accommodation for a 27 footer. 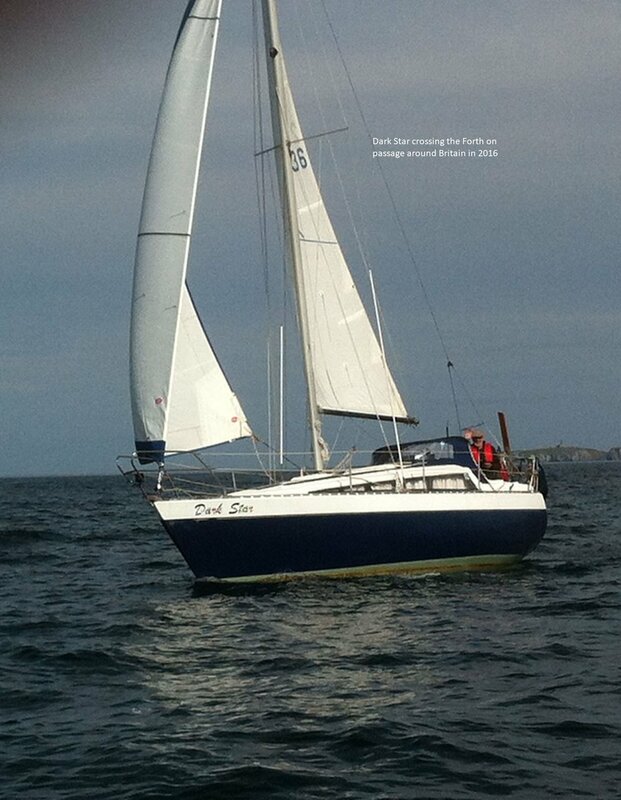 Around 130 Leisure 27s were built and proved to be remarkably sturdy, sea going yachts. The hull is built in solid GRP, with foam ribs and stringers providing great strength and minimum maintenance. The deck is in balsa sandwich which maximises insulation. The hull has either twin keels, or a fin keel, with a moulded skeg and rudder. Tiller steering is standard. Some owners complain of weather helm, but this can be solved by careful attention to the rig trim. and early reefing of the main sail. Off the wind, under just a large genoa, the L27 can be sailed under finger tip control. The standard engine was a 7.5 hp Volvo diesel Saildrive unit, though many boats were fitted with the larger twin cylinder 13 hp engine. The original 7.5 hp diesel was never powerful enough. A twin battery installation is standard. The non slip moulded deck is clean and uncluttered with a flat foredeck for safe anchor handling. High topsides give an immense amount of room below with full 6ft 1 1/2 in headroom throughout, making this a really dry boat but without creating excess windage. Double lifelines run through stanchions from a butterfly shaped pulpit to the pushpit. Teak handrails are fitted each side of the coach rook which is fitted with four ventilators for the main saloon, toilet and hanging locker. Black anodised aluminium toerails, incorporating four fairleads run from stem to stern. A combined stemhead roller and fairlead is fitted. A 25lb C.Q.R. anchor is standard, stowed in a anchor well with a two piece hinged hatch. Two deck mounted halyard winches, and two speed sheet winches and cleats are standard fittings. All standing rigging is 6mm stainless steel wire, shroud chain plates are anchored to internal steel brackets through bolted and bonded to the hull. Halyards are internal to the mast and run direct via deck mounted turning blocks to winches and cleats. Down below the cabins are fitted out in teak veneers and quality furnishings. Double lined throughout to eliminate condensation, the interior has long tinted windows which make the saloon light and airy by day. Leisure yachts (bar the Leisure 17) are seldom raced. The only yardstick information we have are Club Numbers (CN) from 1996/98 and a Recorded Number (RN) from 1988. RN Recorded Numbers are published by the RYA on the basis of limited information. CN Club Numbers are allocated by Clubs.